Qualification : (i) For UR & OBC Candidates : Degree in Journalism with 50% Marks from any recognized University/ Institution. Degree course should be approved by UGC. (ii) For SC & ST Candidates : Degree in Journalism with 40% Marks from any recognized University/ Institution. Degree course should be approved by UGC. Selection Process :The selection will be based on written test of 100 marks followed by interview of 10 markspercentage of marks obtained in MBBS examination. (ii) 10 marks for interview. Application fee : Rs. 700/- for UR, OBC category & Rs 500 for SC/ST category candidates of Chhattisgarh State in form of D.D./Banker's cheque in favour of "Assistant Manager (CAU), CSPHCL, Raipur" payable at Raipur (Chhattisgarh). The application in the prescribed format should reach the following Address, on or before 22/09/2014 positively "Dy. 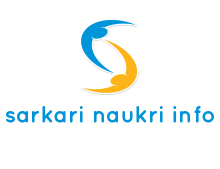 General Manager (HR)-II, CSPHCL, Dangania, Raipur PIN - 492 013"